Shri Anil Shastri speaks about the forthcoming book and film on Lal Bahadur Shastri by Aubrey Aloysius. 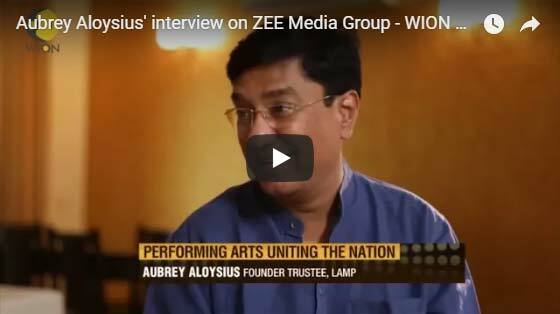 Shri Sunil Shastri speaks about the forthcoming documentary film and feature film on Lal Bahadur Shastri being made by Aubrey Aloysius. Smt. Neera Shastri speaks about the film on Lal Bahudur Shastri and the research gone into it. Aubrey Aloysius speaks about the research done & work in progress on the book & Live Action Feature Film. Aubrey Aloysius speaks about the forthcoming films based on his research on the life of Bharat Ratna Lal Bahadur Shastri. The making of this film is considered to be an extremely positive step taken by filmmaker Aubrey Aloysius. With a humble aim to showcase the life of Shastriji on screen, the movie intends to convey a guiding message that inspires while also showcasing his works and his role in the Indian Freedom Struggle and the growth of our nation thereafter. The film hopes that the audience will be influenced by his simplicity, honesty and other qualities that made him who he was. In spite of being a historical film, its reach and approach in making aims to inspire every age group of people. Going by the belief that “There is no legacy as rich as Honesty” the makers of this film wish to convey to the audience the huge impact that his high character and transparent sincerity has even today. 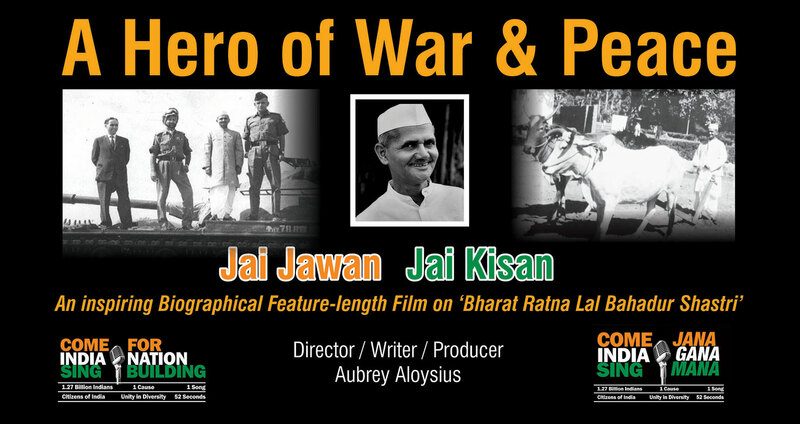 A project that has taken birth out of deep passion towards a cause and one’s own country, “A Hero of War & Peace – Jai Jawan Jai Kisan” is currently 70% completed. However, a project of this size is in need of financial support to be able to reach its completion and reach its national and international audience, as it so well deserves. Over the last few years, Aubrey has been hard at work pursuing detailed research which includes first hand interviews with the sons, daughters-in-law, grandchildren and great grandchildren of Shastriji. What now remains to be completed are shoots in parts of India and in Tashkent with an aim to accurately represent his life and do justice to his death by recreating scenes of historical importance as cinematically as possible, editing, animation, music and post-production. Aubrey Aloysius intends to run a crowdfunding campaign that will successfully bring this film to its completion and eventually reach out to its targeted audience – national and international.